We are a rubbish removal company in Chase Cross that clears every type of rubbish from every type of property. This also includes commercial clearance. What makes us the best choice of a company is the fact that we are fully licensed for most types of waste clearance in RM5 and when you hire us you can have confidence that great job will be carried out. 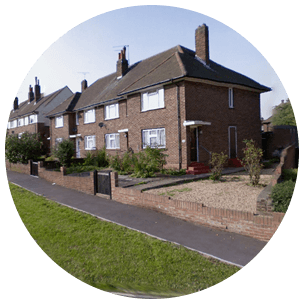 Over the years, our service has become essential for all types of properties throughout the local area. 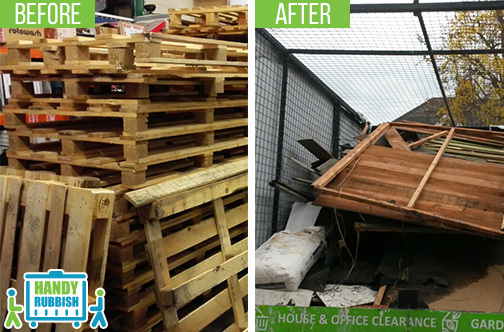 Our professional employees can make such a difference to your living space and give you rubbish clearance Chase Cross which is not only affordable but amazing at value. We build our service around your particular requirements and treat every job in an individual way. Our RM5 rubbish disposal specialists Chase Cross are able to take care of all the specific items you want to clear out, visiting your property at a time which suits you. It all begins with you calling 020 3540 8282 in order to confirm that Handy Rubbish has the best prices and services in town. An example of other services we give would be Chase Cross waste removal RM5. This means you may have open space that now is full of rubbish and has been neglected over a period of time. We can transform that piece of land into a neat and tidy piece of land. It's what would happen when you hire our garden waste clearance service which is ideal when you have a garden being messy and untidy. By collecting and transporting all the debris, whether it's natural or unnatural, you'll receive a well-done job because you made the right phone call to the right company. One of our very popular services is builders waste disposal in RM5. It's for those times you have renovation or building work to be done in the home or elsewhere and need an expert clearing service which gives excellent results. One other reason to hire our company is price. You'll not only have a quality Chase Cross, RM5 waste collection carried out, you will also get a fantastic price that makes hiring Handy Rubbish even more than a pleasure. Call us now on 020 3540 8282 and let us know what you would like to be done. Beyond awesome! You have absolutely no idea how much I needed to clear out my yard in Chase Cross. You know, relatives coming and all that. Their garden waste collection service was just what I needed. I booked them for the weekend and they popped out just as planned, and got everything out of the way, cleared up and hauled off, plus they cleaned up after themselves, they even swept! Happy! I am over the moon with their rubbish disposal service in Chase Cross RM5! Great value for money! Chase Cross is to the east of Central London, part of the borough of Havering. It has the same RM5 postcode as Collier Row, which is to the west. Romford RM1, RM7 is approximately two miles to the south with Harold Hill RM3 to the east and Havering-atte-Bower RM4 to the north. Most of the suburban area is to the south with more open land including three main parks to the north. Havering Country Park is a conservation area and is particularly popular with horse riders. Bedford's Park and Prygo Park are the other main green spaces in the area. The River Rom is just to the west of Chase Cross. There are a number of bus routes which cut through Chase Cross though the nearest tube stations at Hainult and Newbury Park which are both on the Central Line. Romford's main railway station is the nearest to Chase Cross along with Gidea Park. Havering Road (B175) is the main thoroughfare in Chase Cross. Chase Cross Road is another main route in and around the area as is Chelmsford Avenue and Gobions Avenue. The A12 lies to the south. Other nearby places include Chigwell Row IG7, Mawneys, Chadwell Heath RM6 and Noak Hill.